A bland diet is often recommended to help treat digestive problems or to assist the stomach or gastrointestinal tract recover after surgery or illness. If you have been told to follow a diet containing bland foods, you may be wondering what exactly a bland diet is and what foods you should or shouldn’t eat on this type of diet. But, don’t worry. A diet containing bland meals doesn’t have to mean tasteless or without any color. Bland diets contain many delicious foods that are easy to digest and won’t irritate the stomach. The dictionary describes the word bland as “lacking strong features, uninteresting, and flavorless”. The good news is that a bland diet can be full of flavor, tasty, and appetizing. For example, meals you can cook on a bland diet can contain many types of meat, bread, eggs, fish, and some dairy products. You can also enjoy delicious snacks and desserts like peanut butter, some fruits, and ice cream. In the context of a bland diet, foods you shouldn’t eat are generally spicy, fatty or fried food that are difficult for the body to digest. 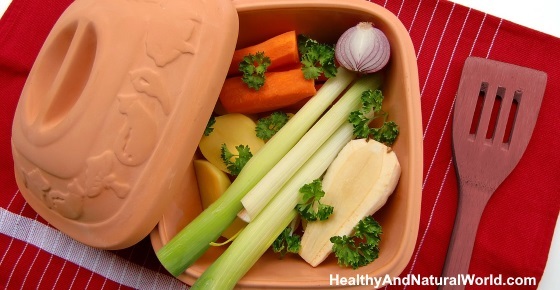 Also, many raw vegetables should be avoided in bland meals and these instead should be prepared by steaming or boiling them. So, the bland diet is usually a way to help your digestive system recover by putting less stress on it until you can eat more typical foods again. In this article, you will find out reasons why some people should follow a diet containing bland meals. I’ll also look at the many different types of food that you should eat on the bland diet and why certain foods should be avoided. The bland diet can help to treat various gastrointestinal problems like heartburn, diarrhea, ulcers, vomiting, and a sour stomach. Bland diets are also useful in helping you to recover from a gastric bypass operation or stomach surgery because they eliminate foods that can irritate the gastrointestinal tissue. There are many delicious and nutritious foods that you can incorporate into a bland diet. Many of these foods can be prepared in a tasty and appetizing way and at the same time not cause extra stress on your digestive system. The foods in a bland diet are all types of food that are easy to digest and won’t cause more irritation to your intestines. If you have to follow a bland diet for medical reasons or if you have had stomach upset, it is important that any protein sources are cooked in a way to keep them tender to easily digest. Foods like chicken, beef, and turkey, can all be eaten on a bland diet if they are tender cuts and are boiled, steamed, baked, or roasted. The same is true for fish and shellfish. Vegetables are a part of any healthy diet and should be incorporated into the bland diet. The vitamins and minerals in vegetables can help your body recover quicker from illness and surgery. To make sure that vegetables can be easily digested, they should be boiled or steamed. Steaming is preferable because it keeps more of the vegetables nutritional content. Steam cooking is cooking at a lower temperature than boiling or baking, and thus the impact on the vitamins and minerals is smaller. In addition, it saves the cooking water and preserve most of the minerals in the food. You can steam almost all vegetables – zucchini, squash, carrots and so on. You can also consume vegetables on the bland diet by making delicious vegetable juices. Remember that for some people, tomatoes and tomato juice may cause stomach irritation. There are a number of delicious fruits you can enjoy that are in no way bland or tasteless. As with vegetables, it’s important that the fruits in the bland diet are cooked, canned, or juiced before consuming. It’s also important to make sure and remove any seeds and skin from the fruits to avoid causing irritation in the sensitive gastrointestinal tissue. Note – Depending on your reason for following a bland diet, you may need to avoid or limit milk and dairy products. Dr. Neil K. Kaneshiro on Medline Plus says that, in some people, dairy products may cause more gas and bloating and make your diarrhea worse. Although many diets encourage the use of whole grain products like wholemeal bread and wholemeal pasta for their fiber content, whole grains are not recommended in the bland diet because they put extra strain on the digestive system. White bread, bagels, and other refined white flour baked foods. The purpose of a bland diet is to avoid any kind of food that irritates your digestive tract and causes your intestines to work harder. In general, if you follow the bland diet, you should avoid foods that have strong flavors, are spicy, and high in fat. If you feel that a certain food irritates your stomach or increases abdominal pain, you should stop eating it to see if it helps. Here is a general list of foods that are not recommended for consumption while following a bland diet. Most meat, fish, and poultry can be consumed in the bland diet. You should avoid adding spices or other strong flavors when preparing bland meals. To prepare these protein sources on the bland diet, avoid frying meat, poultry, or fish. Vegetables should not be eaten raw if you want to avoid intestinal issues on the bland diet. Some vegetables should be avoided even if they are cooked because they can cause gas and bloating. The same principles apply to fruits as they do to vegetables when choosing what not to eat on the bland diet. You should avoid eating fresh fruit and also dried fruit like apricots, prunes, raisins, and dried figs. Also, many berries like strawberries and raspberries contain a large number of seeds and should be avoided because they can irritate a sensitive digestive system. Certain dairy product must be avoided on the bland diet. In general, these are dairy products that are high in fat and contain strong flavors. For example, cheeses like Roquefort, Cambozola, Gorgonzola, and Brie are not suitable dairy products. Although a healthy diet should contain wholegrain products, while you are on a diet incorporating bland foods, you should avoid any whole grain foods and other foods that are high in fiber. The reason for following a bland diet is to help your digestive system heal and become healthy again. After following a bland diet, most people are able to return to eating foods they used to enjoy. Also, many people find that the bland diet helps them make positive lifestyle changes in the long run. For example, many people find that after spending a period of time on the bland diet, they are able to easily cut out a lot of unhealthy foods and fake foods, like fried and fatty foods from their diet for good. When consuming food and beverages, do this slowly. Always chew food thoroughly before swallowing and don’t gulp down drinks. Don’t eat anything 2 hours before going to bed to avoid putting extra stress on your intestines. Cut out smoking and avoid all alcohol. Both alcohol and smoking cause irritation to your insides. If you are unsure if a certain food can be eaten, remember that most soft foods are fine on the bland diet.